Chapter 316: You can't die, keep living Original and most updated translations are from volare. If read elsewhere, this chapter has been stolen. Please stop supporting theft. Han Yunxi looked at Baili Mingxiang with an aching heart as she considered many different problems. Judging from Baili Mingxiang’s body, she must have first started taking poisons when she was five years old. This year, the girl was only 20, which meant Long Feiye must have needed the Beauty’s Blood since 15 years ago. Long Feiye would only have been eight years old then. Was he raising the Beauty’s Blood? Or was it his relatives from the Tang Clan? What did he need it for? 13 years ago, Long Feiye would’ve been 10 years old. The previous emperor would still be alive as well. How could Long Feiye have won over General Baili to his side back then? Or perhaps, General Baili had ties to the Tang Clan as well? Just how loyal was the Baili Clan to Long Feiye--or maybe, to the Tang Clan--for them to have their daughter suffer from such a young age? “Esteemed wangfei, the poison masters under His Highness have already used up all the slow-acting poisons they can. From now on, I’ll have to trouble esteemed wangfei to help prescribe medicine for Mingxiang.” Baili Mingxiang’s words dragged Han Yunxi out of her thoughts. “What does Long Feiye want the Beauty’s Blood for?” Han Yunxi had always thought the records on the blood in the Classic of Ancient Poisons was a legend at most. She never realized such a frightening thing actually existed. “That’s a secret,” Baili Mingxiang replied calmly. “Esteemed wangfei, you’re not helping me, but His Highness,” Baili Mingxiang was very calm. “So you’re not planning to tell me anything, then?” Han Yunxi asked seriously. Baili Mingxiang actually laughed. “Esteemed wangfei, I don’t know this secret either. If you want to know, you’ll have to find His Highness yourself.” Baili Mingxiang could tell that Han Yunxi looked unhappy. If she didn’t explain herself, Han Yunxi would definitely misunderstand. She wasn’t hanging a ‘secret’ over the woman’s head to threaten her into anything. She really just had no idea why she needed to cultivate Beauty’s Blood. The only thing she knew was that her father had given her over to a terrifying Tang Clan woman when she was still a child. Ever since then, she was forced to eat poisons frequently. Of course, she didn’t know they were poisons back then, just that the pills were very, very bitter. She had been thoroughly scared of that woman, too scared to even say ‘no.’ Every time she finished eating her medicine, she’d cry in secret for a long, long time. She had hated her father to death. When she was seven, the woman died. Baili Mingxiang had been thrilled thinking she’d never have to eat medicine again. But when her father took her home, he brought along a big pile of medicine with him and forced her to take them at regular intervals. By then, she already knew they were poisons because they’d always flare up in her body. Sometimes she’d be so wracked with pain that she’d throw up or faint. She always thought that one day, she’d die from all the pain. And yet, she was still alive even now. She’d had her share of hate and anger, and even attempted to run away a few times, but all in vain. Father’s orders were a general’s orders, as absolute as a mountain made of iron. She could only submit because she had no grounds to defy him. When she was 13 years old, she attempted suicide by diving into the lotus flower pond in the back courtyard. Instead, a boy three years older than her had rescued her from the waters. She would never forget what he looked like that day, dressed in violet, cold and aloof. His startlingly handsome face was enough to cause chaos in the Heavens, his dark eyes mysterious and deep. Then he stopped saying anything at all. No matter what she asked him, he never replied. His silence was enough to quiet all of Heaven and Earth. Ever since that day, he’d show up by the pond and sit there in silence for four hours. It seemed like he was blanking out, but it also seemed like he was thinking. She’d go every night as well, sometimes arriving far ahead of time to wait for him. She told him many, many things, about all the wrongs she’d suffered over the years, and all the pain she had to endure. She didn’t even know if he was listening, but he didn’t say a word to her in that entire month. He didn’t spare her so much as a glance. She thought it was enough, since he didn’t tell her to stop talking. Later on, he suddenly stopped coming. She waited for him everyday for three months. One day, her father took her to the Duke of Qin’s estate to get her medicine. 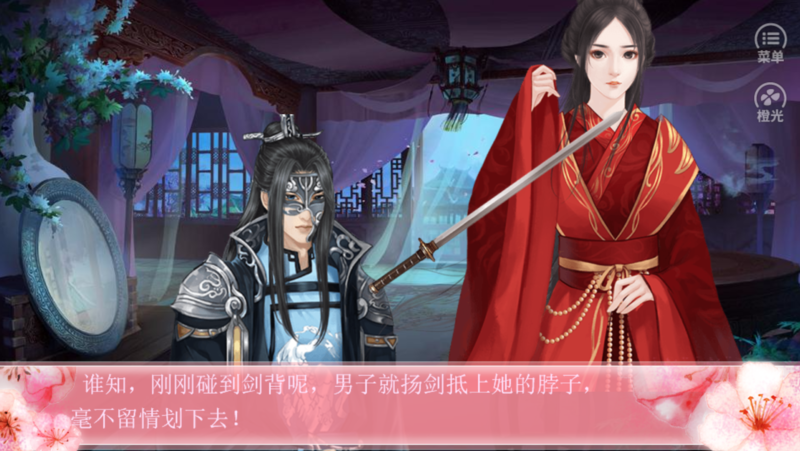 Only then did she realize the boy who’d saved her was the proper master of General Baili’s estate and the one they’d be loyal to all their lives: Long Feiye, the Duke of Qin. Sometimes, liking someone only takes a second. She could admit it was love at first sight. Sometimes, liking someone takes years and years. All these years, she’d loved him in silence. And her way of expressing her love was wholly singular: to do as he said seven years ago. Don’t die, keep living. Even father didn’t know the real reason for cultivating Beauty’s Blood, much less herself. She only knew that she had a reason for living. Baili Mingxiang had given Han Yunxi no end of surprises. She couldn’t understand why this woman would still be willing to suffer so much for the Beauty’s Blood sake when she didn’t even know what it was for. Originally, Han Yunxi wanted to ask if there was any relation with the Perplexing Butterfly Illusion, but after careful thought she suspected that Long Feiye might not have divulged that secret either. In the end, she didn’t speak up or ask any more questions. It’d be better to ask Long Feiye himself. “Doesn’t your father feel distress for your sake?” Han Yunxi couldn’t help asking. 300 different poisons were needed to create Beauty’s Blood, but Baili Mingxiang had only taken 80 of them over the last 15 years. If she kept up with the same rate of ingesting poisons, how many years would it take to successfully complete her blood? His Highness Duke of Qin had found Han Yunxi and sent her here, probably so she could prescribe fitting slow-acting poisons while speeding up the process. If she could be freed from this torment in only three years, that was a type of happiness as well. Of course, she wasn’t sure whether she’d lose the chance to see His Highness forever after being freed. Still, she’d rather suffer for a short period of time instead of indefinitely. A poisons doctor like Han Yunxi understood this principle even better than Baili Mingxiang. Han Yunxi hestiated, before silently making a record of all of Baili Mingxiang’s poisons into her detox system. She only recorded one of the poisons in the Imperial Physician Courtyard’s case history, and expressed that the patient would need a long period of nursing before she regained her health. She didn’t leave any poisons with Baili Mingxiang, but some painkiller pills instead. “I’ll come back another day,” she said mildly. When faced with such a situation, her doctor’s heart felt like it was being crushed beneath countless boulders. She had a way to eliminate all of Baili Mingxiang’s poisons within a day, but that would mean invalidating all the suffering the woman had endured over the last decade and more. Long Feiye, just how cold is your heart?! “Yes,” Baili Mingxiang was very reserved. “Why didn’t she give you any poisons?” Aunt Ru asked. “Esteemed wangfei says she wants to figure out what’s going on first,” Baili Mingxiang replied honestly. Baili Mingxiang nodded without a second thought. But as soon as Aunt Ru left, she had someone write off a missive to Chu Xifeng. She was intelligent enough to see that Aunt Ru held antagonism against Han Yunxi. She didn’t know why, but she had a responsibility to tell His Highness everything. Han Yunxi returned to the Imperial Physician Courtyard and gave her medical report to Gu Beiyue for safekeeping before rushing back to the Duke of Qin’s estate. She was in a hurry to see Long Feiye and figure out what was going on with Baili Mingxiang. Yet someone blocked her right at the corner of the street. 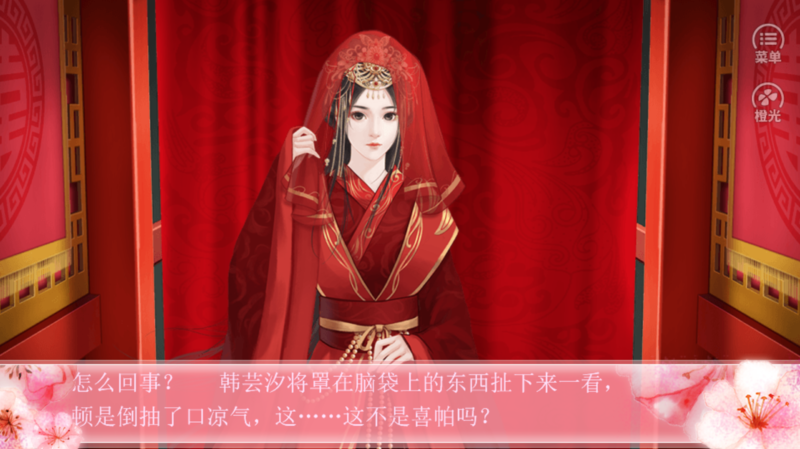 At the familiar voice, Han Yunxi lifted her carriage curtains and saw Gu Qishao dressed in resplendent red robes, standing bewitchingly in front of her carriage. He was holding a huge porcelain canister of tea leaves in his hand, his face smiling like all the flowers in bloom. Han Yunxi was pleasantly surprised. She quickly got off the carriage and rushed towards him. Actually, Gu Qishao had been following Long Feiye and Han Yunxi all the way back to the capital. He’d just kept his distance for fear of Long Feiye finding out. The entire time, he’d been nursing his injuries in the city. He knew all about how Long Feiye had imprisoned Mu Linger, then let her go, and the ruckus at last night’s birthday banquet. “Let her keep searching,” Gu Qishao said heartlessly. “Just wait here!” Gu Qishao handed Han Yunxi the tea leaves and was about to leave when Han Yunxi hastily dragged him back. If Han Yunxi’s guesses were right, Mu Linger was probably having a miserable time right now. News of what happened at the birthday banquet would quickly spread to Medicine City. The girl had chosen of her own will to deny the empress dowager a gift. If the three clans of Medicine City found out, even her own father Mu Yingdong would probably give her a whipping. “Then will esteemed wangfei do me the honor of accompanying me for some tea?” Gu Qishao feigned politeness. “Let’s go, then!” Han Yunxi got straight to the point. She could tell that Gu Qishao had business to talk about. Gu Qishao took Han Yunxi to the Tender Fragrance Teahouse’s successor in the capital city, the Heavenly Fragrance Teahouse. Only then did Han Yunxi realize that he owned this place too, considered the capital city’s top-tier teahouse. This fellow really has hidden stores of wealth. How many other business does he have that Long Feiye doesn’t know about? Han Yunxi telling Director Lin that everyone's equal before the eyes of a doctor. Mu Qingwu and Mu Liuyue! *coughs* Gee I wonder who this masked man is.